CANBERRA, Australia — An Australian senator was censured by his colleagues on Wednesday for seeking to blame the victims of last month's mosque shootings and vilify Muslims. 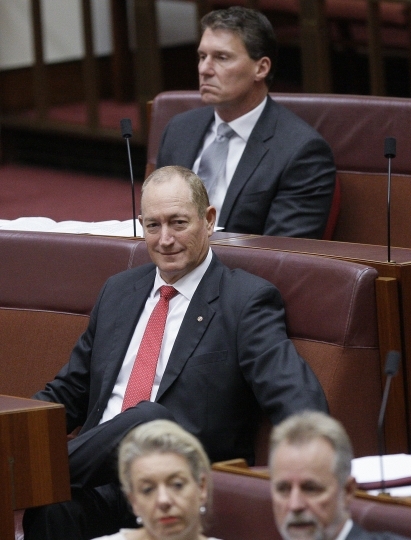 Sen. Fraser Anning was the target of widespread condemnation for blaming the attack in New Zealand on immigration policies. He faced more criticism later for physically striking a teenager who cracked a raw egg on his head in a viral incident in Melbourne. On Parliament's second sitting day since the March 15 attack in which 50 people died, government and opposition lawmakers moved the censure motion against Anning for divisive comments "seeking to attribute blame to victims of a horrific crime and to vilify people on the basis of religion, which do not reflect the opinions of the Australian Senate or the Australian people." "Sen. Anning's comments were ugly and divisive. They were dangerous and unacceptable from anyone, let alone a member of this place," Government Senate Leader Mathias Cormann told the Senate. 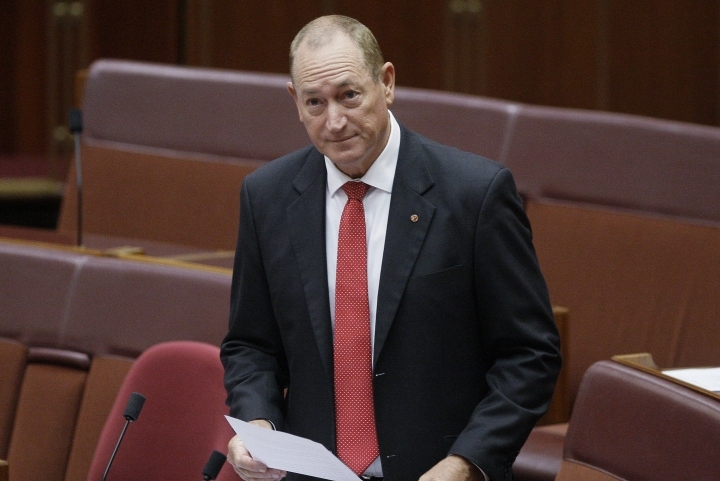 Anning dismissed the censure motion as an attack on free speech. "It is also an exercise in left-wing virtue signaling of the worst kind," he told the Senate before the vote. One Nation Sen. Peter Georgiou read a speech on behalf of party leader Pauline Hanson, who was absent. Hanson said while Anning's comments were "untimely and therefore deemed highly insensitive, he still maintains a right to his opinion." 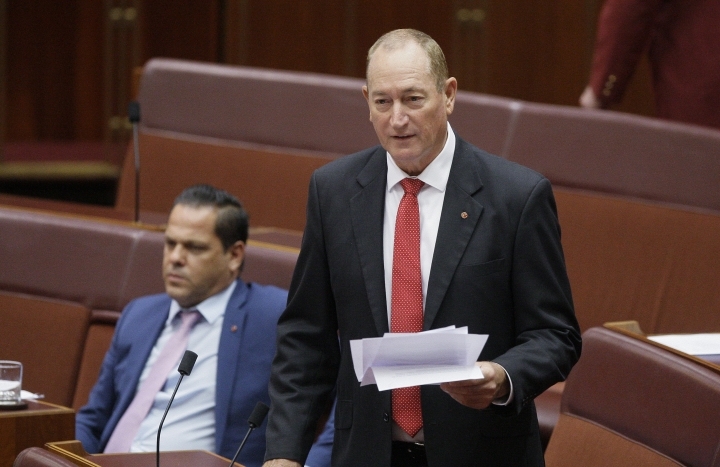 "If One Nation endorses your action to censure Sen. Anning, your freedom of speech as elected members of this chamber will be removed," the speech said. A day after the Christchurch attacks, Anning faced more criticism for physically striking the teenager who cracked an egg on his head at a Melbourne public appearance — 17-year-old Will Connolly, who became known around the world as "Egg Boy." Anning on Wednesday criticized Prime Minister Scott Morrison for saying at the time that Anning should "be subject to the full force of the law" for his retaliation against Connolly. Police investigated the altercation but no charges have been announced. "It might have only been an idiot with an egg this time, but there is a continuum that begins with this and ends with a fanatic with a gun or a bomb," Anning said. The minor Greens party later failed to win majority support for a motion for the Senate to suspend Anning. Mehreen Faruqi, a Pakistan-born Greens senator, produced an online petition to the Senate with more than 1.4 million signatures calling for Anning to resign. "It is terrifying that rightwing extremist groups have a found a mouthpiece in Federal Parliament," Faruqi told the Senate. After New Zealand Prime Minister Jacinda Ardern previously called Anning's comments on the shootings "a disgrace," her deputy Winston Peters on Tuesday called Anning a "jingoistic moron."